Cosmetic Surgery Claims – Have you been the victim of cosmetic surgery negligence? The number of cosmetic surgery procedures that are being undertaken in UK has risen considerably over the past few years. Both men and women are now opting for cosmetic surgery to improve their physical appearance. Some of the most popular cosmetic surgery procedures include breast enlargement, breast reduction, liposuction, nose reconstruction, tummy tucks, facelift, laser treatment, chemical peel, Botox injections, facial fillers, lip plumpers and eyelid surgery. You can speak to an expert medical negligence solicitor on 01925 937070. We now also have a Wigan office which can be contacted on 01942 914004. Making a personal injury claim with DSM Legal Solicitors is hassle-free and you will receive expert legal advice every step of the way. Simply call 01925 937070 or complete the ‘Contact our Solicitors’ form at the bottom of this webpage. However when cosmetic surgery goes wrong (known as negligence) the victim may be left with both physical and mental scarring – leading to the need to make a cosmetic surgery negligence compensation claim. Why should DSM Legal Solicitors handle your cosmetic surgery negligence claim? No Win No Fee Compensation – DSM Legal Solicitors handle all cosmetic surgery claims, plastic surgery claims and medical negligence compensation claims on a no win no fee basis. Expertise – Peace of mind in knowing that your cosmetic claim will be personally handled by a senior Solicitor with the relevant experience in personal injury law. Personal service – Your case will be handled by one solicitor so that you always speak to the person who knows all about your case and can give you the best advice with regular updates. A fully qualified solicitor will handle your claim meaning you receive the best possible service and best possible outcome. We have free parking at our Warrington office in Cheshire and disabled access including lift and toilets. We deal with compensation claims across the North West and consider claims from England and Wales. We can visit you at home or in hospital and evening and weekend consultations are available by appointment. We also deal with other types of medical negligence claims – click here to see what types of other negligence claims we can assist with. Cosmetic Surgery Claims – What you are entitled to claim for? Loss of amenity – compensation for how your injuries have affected you in your personal life. Loss of earnings – time spent off work due to injuries that have occurred. Medical costs – extra medical costs you have encountered. Other expenses incurred as a result of your injury – such as travel expenses – incurred whilst receiving medical treatment. 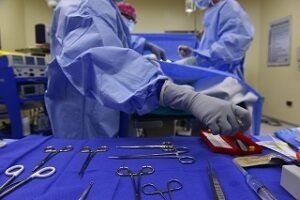 How much compensation will you receive for your cosmetic surgery negligence claim? When we first speak to you, we can give you a good idea on the likely level of compensation you will receive. Once we have fully investigated your cosmetic negligence claim we can prepare a more accurate valuation on the amount you are entitled to. We are solicitors based in Warrington, Cheshire and we accept personal injury claims from across England and Wales. Speak to a solicitor for a free, confidential chat on 01925 937070 or complete our Cosmetic Surgery Negligence Enquiry Form by clicking here. We can assist with personal injury (accident claims), road traffic accidents, medical negligence claims, accidents at work, criminal injury compensation claims, employment law claims, wills and probate, oaths, affidavits and statutory declarations, lasting powers of attorney, settlement agreements and professional negligence claims.